EuroGeographics facilitates access to official, authoritative geospatial data from our members, the National Mapping, Cadastre and Land Registry Authorities. We do this by producing pan-European products and through our vision for European location services. Both focus on enabling international cross-border applications that complement the national activities of our members. Our vision is for a single access point of access for international users of harmonised, pan-European, authoritative geospatial information and services. The Open ELS Project, co-financed by the European Union’s Connecting Europe Facility, demonstrates the potential of European location services using our members’ open data. 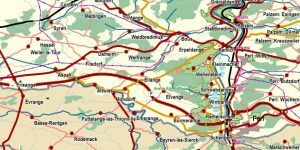 EuroGeographics offers four European geospatial data products. Each is produced using official geospatial data from our members, the National Mapping, Cadastre and Land Registry Authorities. Our products are harmonised to standard specifications, so users can be confident that the information provided is consistent, comparable and easily shared – regardless of its national source. The data is updated annually and can be used in a wide range of applications including analysis, planning and research. We offer standardised, transparent pricing and licensing agreements, including an open data licence for our 1:1 million scale European topographic dataset, EuroGlobalMap. Read our Data Policy. EuroGlobalMap is 1:1 million scale harmonised European open data covering 45 countries and territories in the European region. 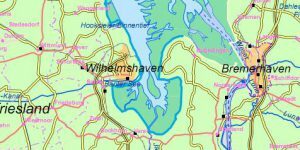 EuroRegionalMap provides multi-themed topographic mapping at 1:250 000 scale for 36 European states. EuroBoundaryMap is a 1:100 000 scale dataset of official administrative and statistical regions in 43 European countries. 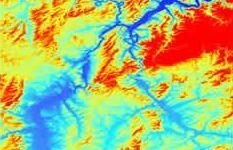 EuroDEM is a 1:100 000 scale digital elevation model providing height data for 40 European countries.